If you want to play Paintball in Woodford Green Mayhem paintball is around 15 minutes from the centre of Woodford Green. You can also get the Central Line tube from Woodford Green to Theydon Bois station where Mayhem offers a free pick up and return to the station. Mayhem Paintballing boasts 15 different playing areas; with real tanks, planes, helicopters and much more Mayhem Paintballing is regarded as the UK's best venue. Check out our scenario page and have a look at what we have to offer with crashed aeroplanes, 2 anti-aircraft guns, real Battle TANKs, army vehicles and armoured personal carriers. We offer the very best in equipment, playing areas, facilities and staffing. Mayhem is accredited by the UKPSF (which is the governing body for paintball in the United Kingdom). 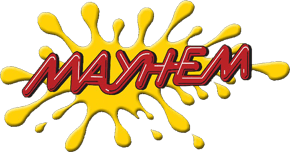 For Woodford Green paintballing, there is no better venue than Mayhem. We would recommend coming and having a look at our paintball site or any of our competitors, we guarantee that you will not find a better site in Essex, London, or within 100 miles of Mayhem. For more information on Woodford Green Paintball, please check out our website.